Turbos like big exhausts and as little restriction as possible. Besides, and uncorked Subaru Boxer sounds really, really good. So, naturally i've been investigating the possibilities of getting a downpipe and exhaust for my car since shortly after i purchased it. Only last fall did i ever act on my desire, getting a 2.5" cat-back system with a 3" Dynomax muffler with an 8" long Magnaflow tip. This made a good improvement over the stock setup, and sounds a lot better to boot. Still, i knew that a larger and more efficient downpipe would go a long ways toward making more power and sounding even better. 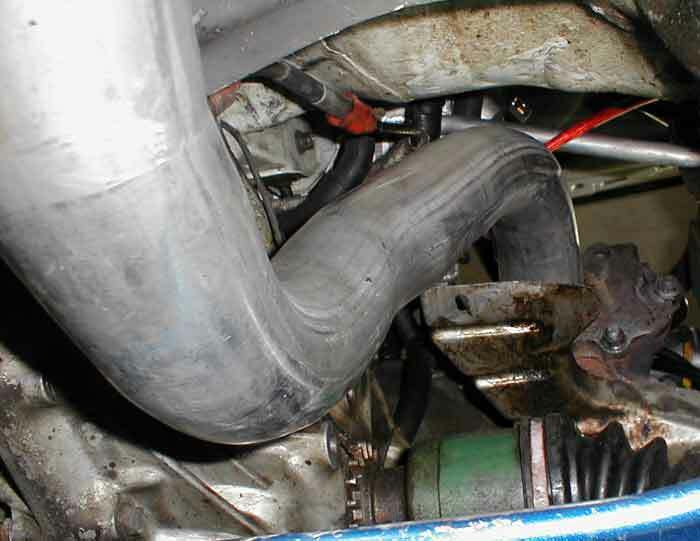 So it turns out that the WRX uses the same exact turbo flange as the Legacy, so one could conceivably purchase any of the aftermarket WRX downpipes and simply add an O2 sensor bung then tie it into the rest of the system. Piece of cake. 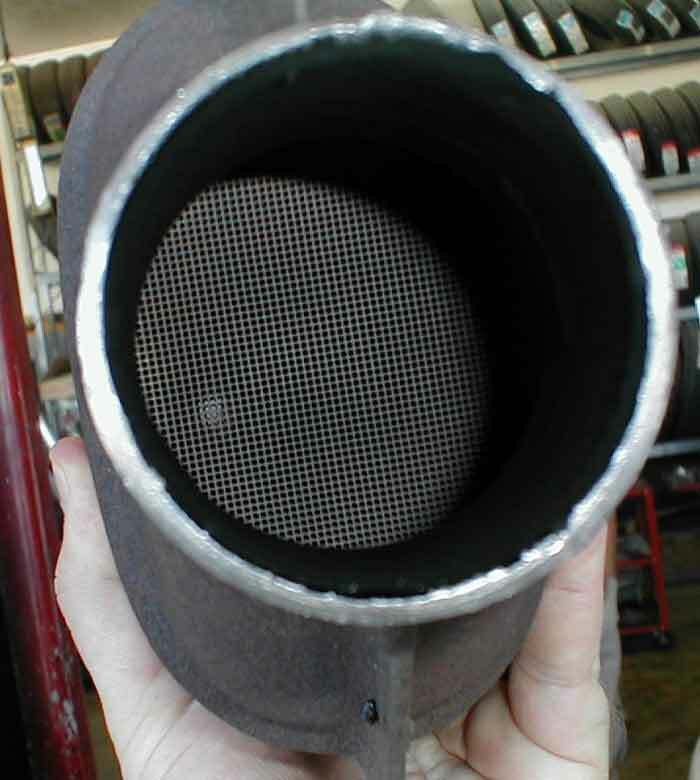 Well, i like to do things locally when i can, and after getting my Intercooler installed by a local shop, i decided that i'd use his experience in exhaust fabrication to cook up some kind of downpipe. We started off with removing the stock pipe, then cutting the flange off the old one. 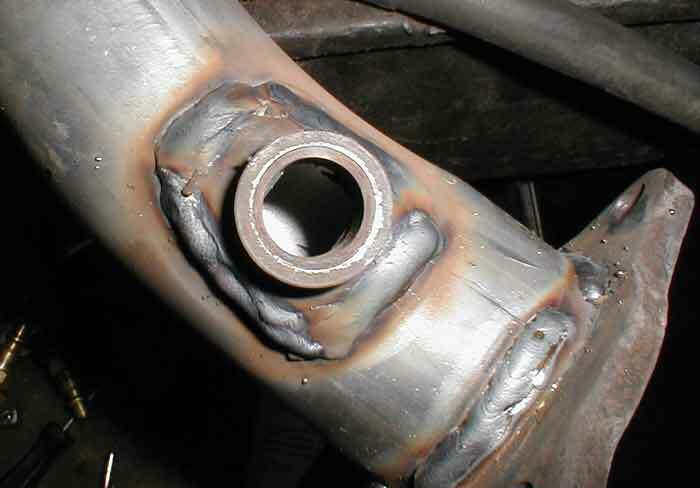 This is involved, mostly because of the double-wall welds. 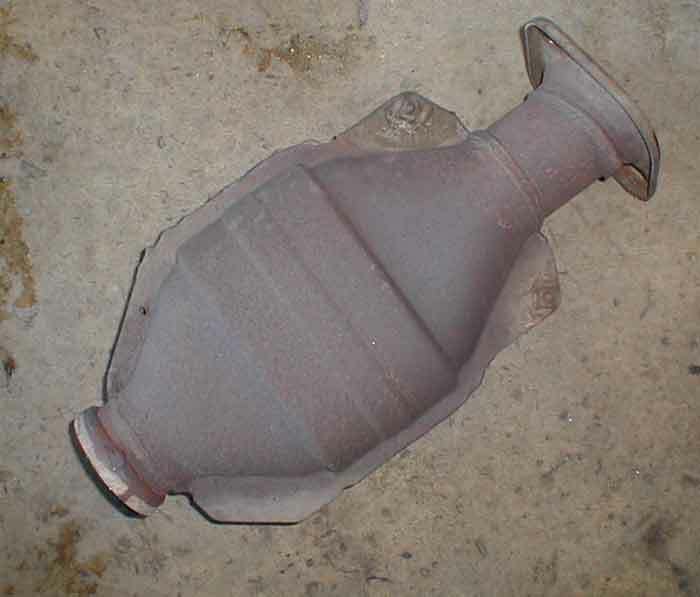 The O2 bung was also extracted via a cutting wheel. 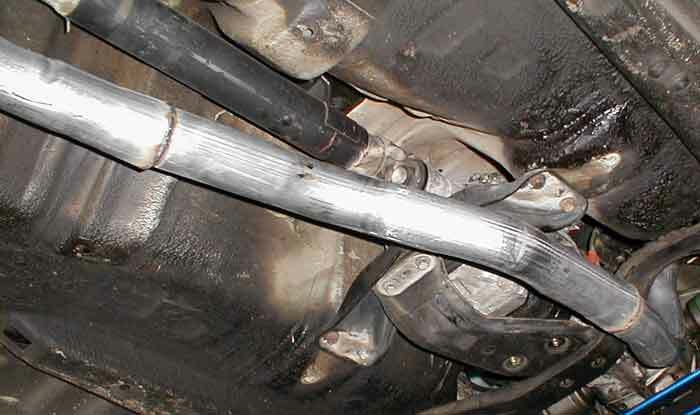 2.75" pipe was used for the downpipe, bent accordingly. The flange was also widened a bit from the 2.25" ID that it had previously. 3" was just a bit too much to stretch to, but anything is an improvement over 2.25"
The pipe was built, flange modified, O2 bung welded in and piping mated over about a 6 hour period, where a broken stud on the turbo consumed a great portion of this time. Shane was not having the best day, but persisted in getting the job done and apologizing to me no less, for the amount of time it had taken! Anyway, the first startup greeted us with the usual Subaru burble, but subsequent revs revealed that the edginess present in open systems was indeed there, the bit of a rasp on the down revs was blended in nicely, and the whole setup wasn't that loud at all. 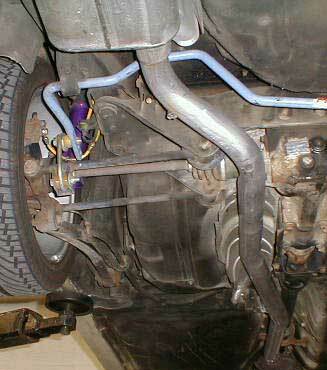 The setup as is stands has no Catalytic Convertor. 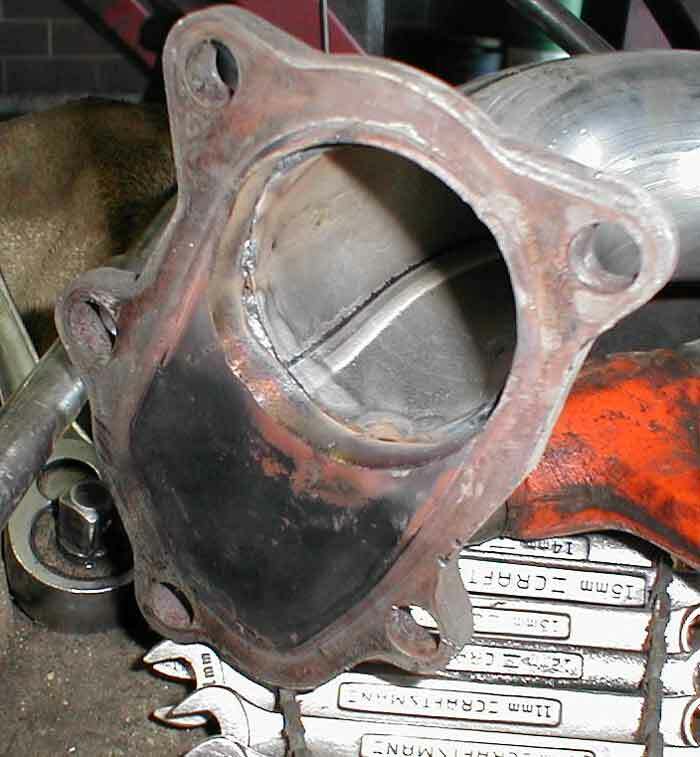 Shane was completely out of flanges, and we wanted a setup where the cat could be removed or replaced easily. This will be remedied very soon. My driving impressions are all satisfactory. The sound is simply marvelous, there's nothing quite like it. It's deep and throaty like a V6 or V8, but sounds different. It's not like, or so dislike other boxers like Porsche, but still very unique. In cabin experince while driving was very nice. The exhaust note with all windows down is louder, but really not that much more so, and very tolerable. Once the revs climg, only the sound from the back of the car is louder, the sound doesn't permeate into the cabin from underneath. Highway cruising at 75MPH in 5th is docile, with the same low thrumming like before, but not at all resonating. Power is surely up, and the turbo spools noticeably faster. Boost is strong, bit no sign of overboost or boost creep so far.